To mark the World Day Against the Death Penalty(Friday, October 10) the Foundation for Public Poetry is organizing a special event: Poets & Politicians Against the Death Penalty. On World Day Against the Death Penalty, the World Coalition Against the Death Penalty calls on all citizens around the world to take action to end executions, particularly in Asia. The Montreal event will be calling for an end to the death penalty and for Canadian Ronald Smith to be repatriated to Canada to serve the remainder of his incarceration. 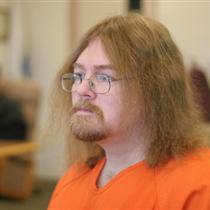 Smith has been on Montana’s death row for 25 years.